In working with Southern Ohio Medical Center (SOMC), Layered Solutions receives high marks for improvements to both patient and staff communications, saving time and money. Southern Ohio Medical Center (SOMC) is a 222-bed 501(C)(3) not-for-profit hospital in Portsmouth, Ohio, providing emergency and surgical care, as well as a wide range of healthcare services. Since 1954, it has been their mission to make a true difference in the lives of patients, employees, and the surrounding community. As a rural hospital and one of Fortune Magazine’s 100 Best Places to Work in America, SOMC strives to achieve and sustain exceptional results in safety, quality of care, service, relationships, and financial performance. According to Jeanie Taylor, Telecommunications System Support Specialist for Southern Ohio Medical Center, the rurally located healthcare system needed a flexible mass notification system that could wear many hats. “We were looking for a mass notification system for on-call staff, codes and emergencies. 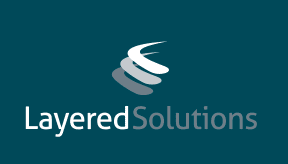 Geis, the founder and president of Layered Solutions, Inc., worked with SOMC to develop the custom solutions necessary to communicate with both staff and patients as efficiently and effectively as possible. Automatic updates to profiles for five different departments that trigger patient reminder calls customized to prevent disclosure of private health information. Automatic follow up calls to emergency department patients. Integrated mass notification with fire alarms to trigger PC Alerts. A custom SMS text messaging system that bypasses the exchange server to expedite an immediate message. Integration with a bed management system to immediately notify housekeeping when a room is available.